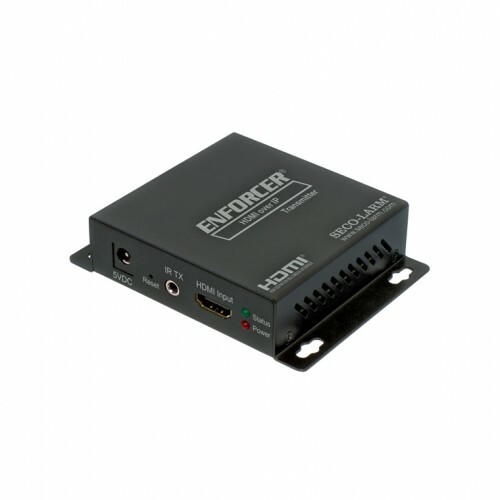 The MVE-AHMPM-01NQ HDMI® Extender over IP extends HDMI® signals' range using an active transmitter & receiver to send video & audio over a single Cat5e/6 cable. Kit includes MVE-AHMPM-01NTQ transmitter & MVE-AHMPM-01NRQ receiver (also sold separately). The MVE-AHMPM-01NQ supports One-to-One, One-to-Many, and Many-to-Many installation via VLAN, as well as a cascading installation of multiple units for extended range.